The Harvestworks New Works Residency is a national program that offers American artists and legal US residents commissions of up to $5000 to make a new work in our Technology, Engineering, Art and Music (TEAM) lab. Each artist receives up to a $2000 artist fee with the balance of the award used for TEAM lab activities including research and development, sound and image production, programming and prototyping. The artist works with a team comprised of Harvestworks’ Project Manager and consultants, technicians or instructors. The proposed projects should explore new aesthetic premises and push the boundaries of conventional art forms and media. Special Initiatives: The Harvestworks Creative Residency Program will commission artists using emerging technology such as biosensors, immersive audio and video, virtual and augmented reality, camera and eye tracking systems, data sonification or visualization, mobile, new computer interfaces and controllers and new ways to engage with social media and communities. Composers are encouraged to apply to explore new technology for space and spatialization of sound in contemporary music. A limited number of scholarships and 24 hour Technology Lab Workspace Residencies will be recommended by the panel depending on our funding. 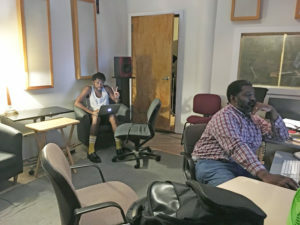 The Technology Lab Workspace Residency includes 24hr access to the Harvestworks studios and collaborative working environment, access to tutorials, rehearsal and limited technical assistance. How to apply: Projects may take the form of multiple channel audio or video installations, live performances with interactive performance systems and live processing methods, data visualization as single or multiple channel video or computer images and hardware hacking or circuit bending as custom built interfaces or instruments. Project descriptions may include the development of a new work for music, theater, media art and interdisciplinary performance; experimenting with new creative concepts, approaches, or methods and researching and developing new technology for use in performance (e.g. musical instrument invention or preparing technology for an existing premiere performance) or exhibition. Up to 12 residencies will be selected (depending on project size and funding). Priority will be given to the creative use of the Harvestworks’ production facility and the innovative use of sound, image and emerging technology. Eligibility: The New Works program is designed to assist individual working artists. Collaborations, groups, ensembles and collectives have to designate a Lead Artist to apply to the program. Only new work proposals are accepted. Proposals that document an existing work are not eligible. Students, including PHD candidates, who are enrolled in a university are not eligible. Program recipients from the past 2 years are not eligible this year. 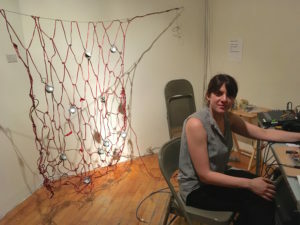 Lead artists must reside in the U.S.
Residencies run from January 1, 2019 through December 31, 2019. Presentation: Work produced in the program is premiered in the Harvestworks’ New York Electronic Art Festival, in our Presentation Lab or in collaboration with other venues. Residents are also featured on the Harvestworks website. 2018 Artists in Residence: Beth Bradfish and Connie Noyes, Mark Cetilia, Lauren McCarthy, Andrew Neumann, Jon-Carlos Evans, Efrain Rozas, Amanda Gutiérrez, Julia Sinelnikova, Morehshin Allahyari and Prince Harvey, Jakob Steensen, Eva von Schweinitz, Amy Youngs. Kyle de Camp, John Kelly. Artist/Scholars: Danny Bracken, Stephanie Gray, Xiameng (Summer) Lin, Daniel Neumann, Laura Splan. 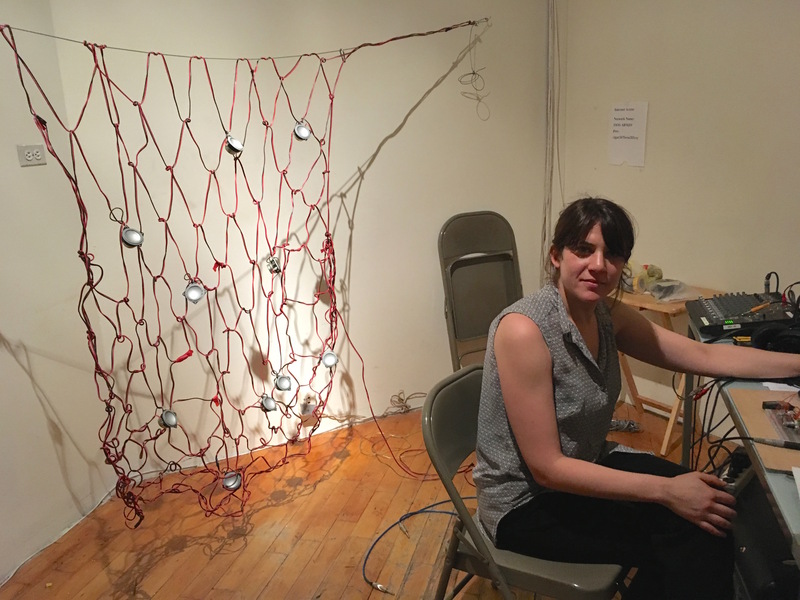 Workspace Residents: Andrea DeFelice, Tali Hinkis, Brian McCorkle, Catherine McCurry and Simona Prives. « [Nov 27] Giving Tuesday – Donate to Harvestworks!